Posters and Signage Design Services | New Design Group Inc.
Billboards and signage designs are the silent sales agent that stand on the street or in the crowded shopping mall around the clock. A poor design will fail to attract attention whereas an exceptional design is guaranteed to attract new customers and influence their purchasing decisions: the majority of people of a certain age will never forget the iconic Wonderbra ‘Hello Boys’ billboard campaign of the 1990’s featuring Eva Herzigova: people were literally stopping in their tracks to stare and it was claimed to be the cause of many a car shunt. 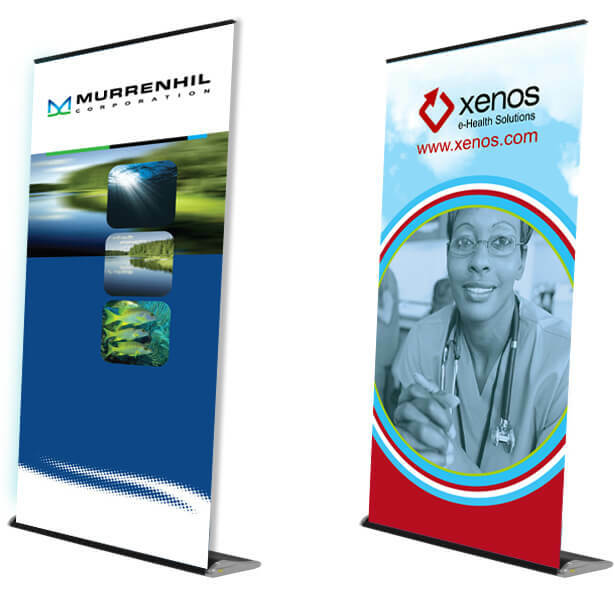 Similarly posters, exhibition booth backdrops and banners need to make a company stand out from all others. 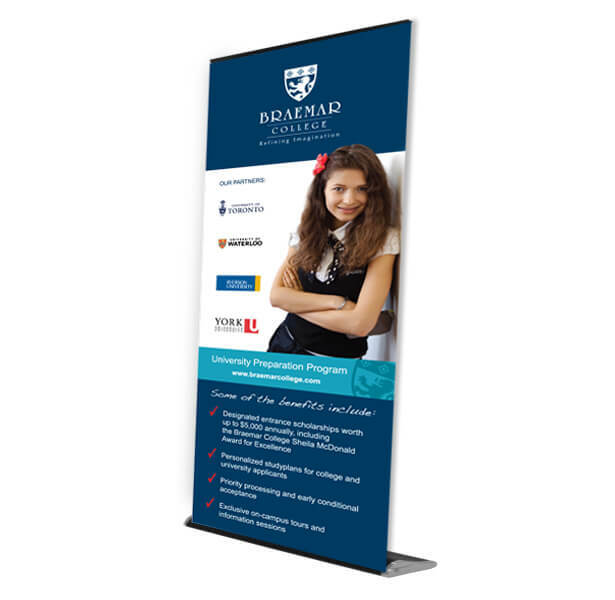 It is only those with the most impressive and noticeable designs which will attract potential customers. Our Toronto based agency has the skills and expertise to design billboards, signage, exhibition stands and posters that not only express a company’s brand identity but shout out for attention. They may intrigue or they may simply impress, but rest assured that our designs will always be perfectly branded so there is no doubt as to the company behind the message. 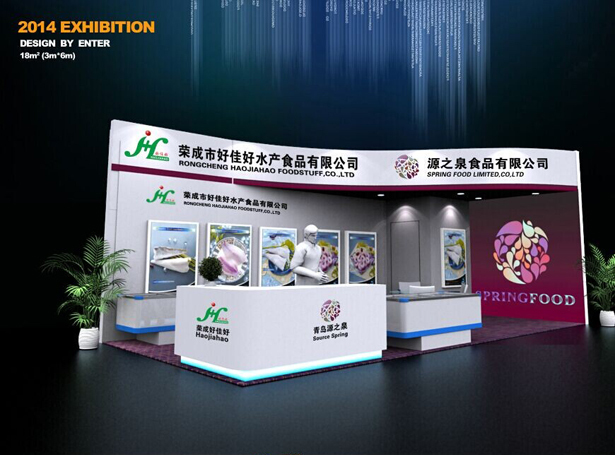 When our designers create a exhibition booth backdrop, they aren’t thinking just about a ceiling to floor design – they are considering how best to use the visible space – that above the heads of the staff – to draw exhibition attendees to the stand. In short, we know how to adapt great designs to make sure they work on a larger scale and to take into consideration where the designs will be placed as well as their overall objective. 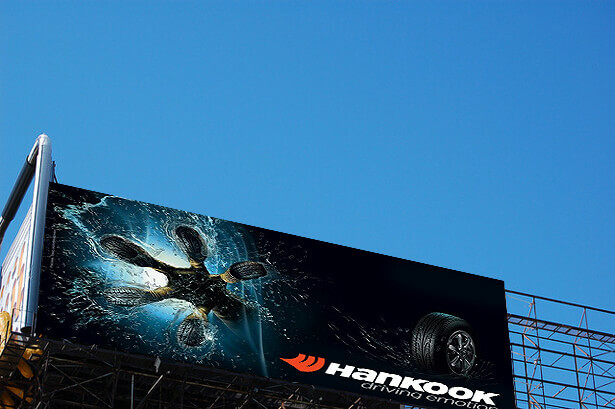 Whether you want a billboard advertising campaign to impress or want to attract as many exhibition attendees to your stand as possible, just call us on 647 271 7463 and we can discuss your needs.